Canada is a big country, and big countries celebrate big milestones. In 2017 Canada cerebrated its 150th birthday in style. Its about showcasing everything good about Canada, through history, food, culture, business and more. How crazy is it that we are celebrating this milestone?! I am so proud to be Canadian! And maybe I am biased but Canada just keeps getting better looking if you ask me. 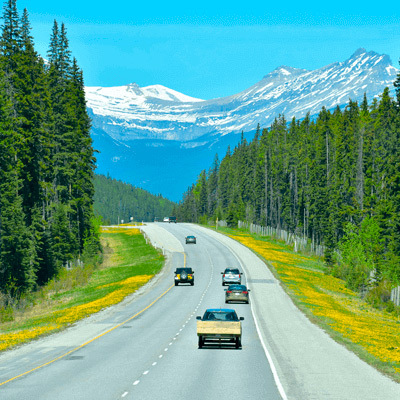 Maybe it’s the beauty in all four seasons, or as you drive across this country of ours there is literally something beautiful to be seen everywhere you go. Maybe it’s the diversity. The culture. The fact no matter what your background we always know out fellow Canadians by our manners. There is always a certain excitement when it comes to birthdays. There’s the chance to celebrate all of the adventures that we’ve experienced over the last year, but there’s also the chance take a little time to think about what adventures are still waiting around the corner in the year to come. 2017 is a special year for Canadians as we have the chance to not only reflect on the last 150 years of our history but also the time to think about what we want to see happen in the next 150 years or so. In this post, we will share with you a few interesting facts about this amazing country. We want to showcase everything that is great about Canada, a great place to travel, Canadian businesses, history, food, and inventions as well. Canada day is the National Day of Canada. It celebrates the anniversary of July 1, 1867, when three separate colonies came together into a single Dominion within the British Empire called Canada. Canada will be celebrating HUGE this year. It will be worth it to soak in all of the activities going on all across the country, not only on Canada Day but throughout the year. A great place to travel to this summer within Canada would beNiagara Falls. It is right on the border of Canada and the USA. There are three waterfalls that come together to form one large, massive one. 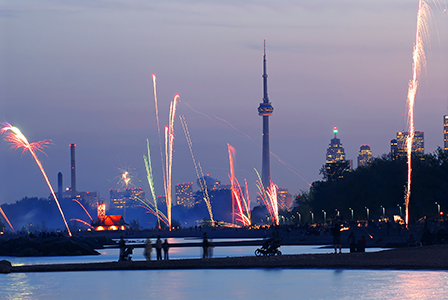 They will have tonnes of events happening over the weekend of Canada Day. 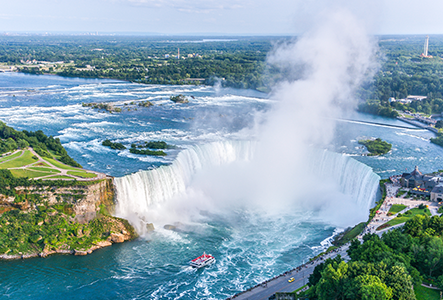 If you choose to go sight-seeing before that time you can go see the falls from above, or take a boat ride to the bottom of them. WARNING: BRING A PONCHO! You will get soaked! 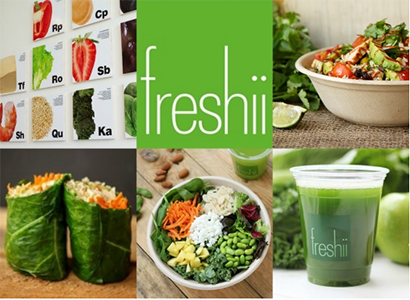 Freshii is a great Canadian business created by Matthew Corrin from Winnipeg. He wanted to create a quick, healthy alternative to the fast-food industry instead of the options we already had. You can get a breakfast smoothie or smoothie bowl; get a complete meal in a rice bowl/wrap throughout the day, and even fresh pressed juice.Trust me everything is DELICIOUS! If you are wanting to do a juice cleanse they have 1, 3 or 5-day options where they make the juice for you and you just go pick it up! How convenient! This healthy fast food joint came out of nowhere and now has spread all over the world to places in Mexico, and even Dubai! Give it a try! Did you know that Ketchup Chips are exclusive to Canada? Try going to the States and see if you find some. You won’t! It’s odd I know… I don’t get it either but it’s a fact. On July 1, to celebrate Canada’s 150th birthday the Black Creek Pioneer Village went all out for the big day. After all, can you think of any better way to mark the anniversary of Confederation than to travel back in time to 1867? A day at the Village is always an amazingly immersive experience — a chance to relive everyday life in rural Canada as it was in the 1860s. But for this birthday bash, the Black Creek team has lined up a whole host of 19th century-style special attractions, from magicians and strongmen to fire jugglers and carnival games. Canada. A country filled with peace and tranquillity. Canada an extraordinary country with extraordinary people! We are a nation constructed on an identity of diversity and multiculturalism. A country that welcomes immigrants and refugees from around the world. It's all a visa application away. Vancouver-raised me and gave me the opportunity to live my life with so much freedom. I’m proud to be Canadian and happy to say — Canada is my home and I’m so in love with it!